Restaurant managers must accomplish the objectives of their human resources. Hence, they begin with recruiting their team after which they orient and assign them duties. Since theirs is to manage most of the kitchen affairs, they consult with chefs to determine food prices and benefits before they edit their menus. Through regulation of portions and quantities of food preparation, they are able to maintain high quality while minimizing wastage. You may also see job description samples. 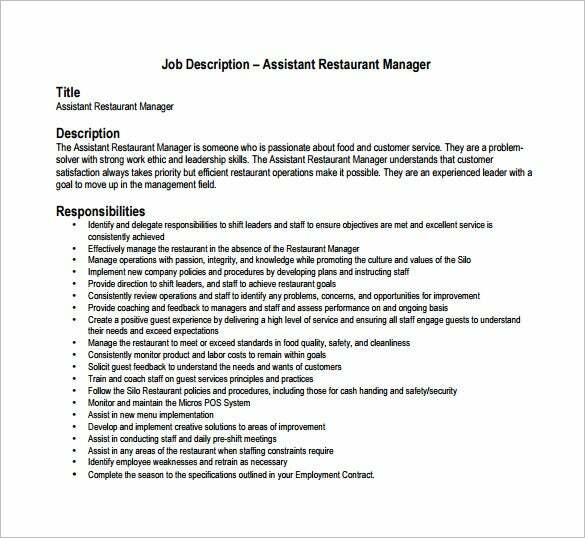 You may like General Manager Job Description Templates. In addition, restaurant managers ensure that they attain their financial objectives. They therefore initiate and complete action plans along with coming up with their budgets, scheduling spending, analyzing variances and coming up with correction actions. You may also like Job Description Templates. 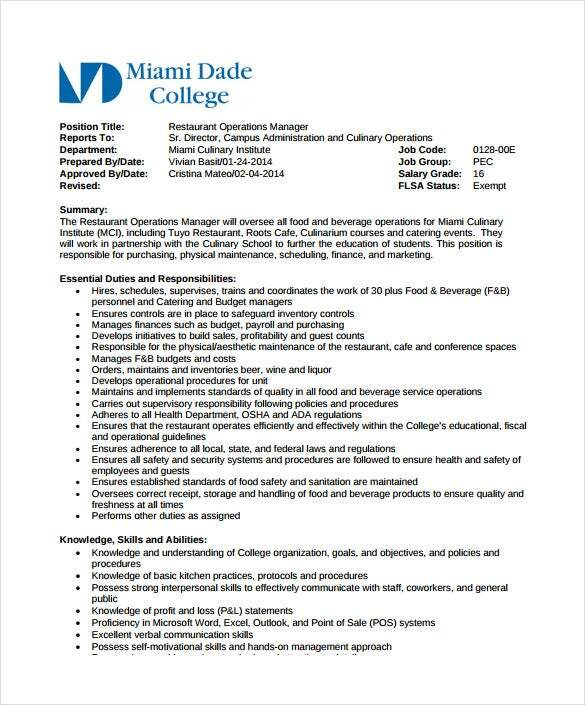 mdc.edu Restaurant operations include a host of minute details that are all to be taken care of by the manager. 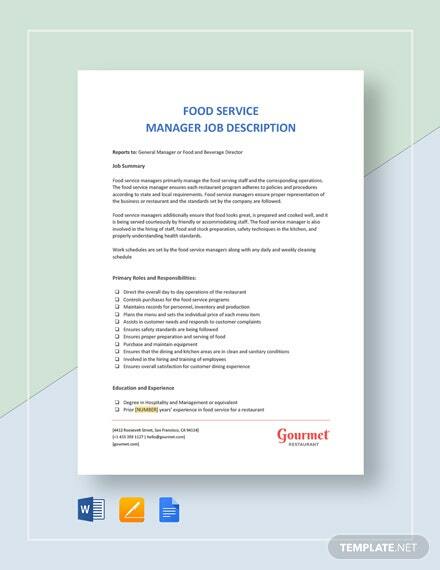 These templates provide you with an organized way of writing down the entire job description of the restaurant operation managers without leaving out any important aspect of the professional responsibilities. 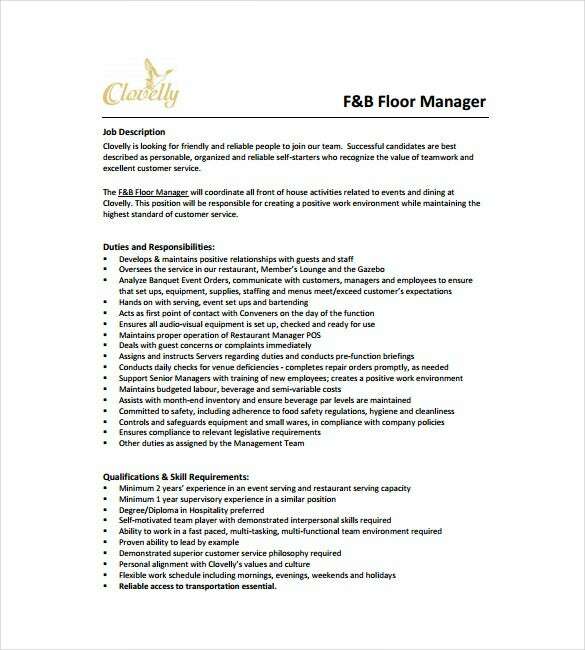 clovelly.ca The roles of the restaurant floor managers that include hiring, training and supervising the hotel staff can all be presented in a comprehensible manner in these templates which would make it much easier to follow up on the given responsibilities. Easy to access and use, these templates are a very useful tool for ensuring a smooth flow of work. 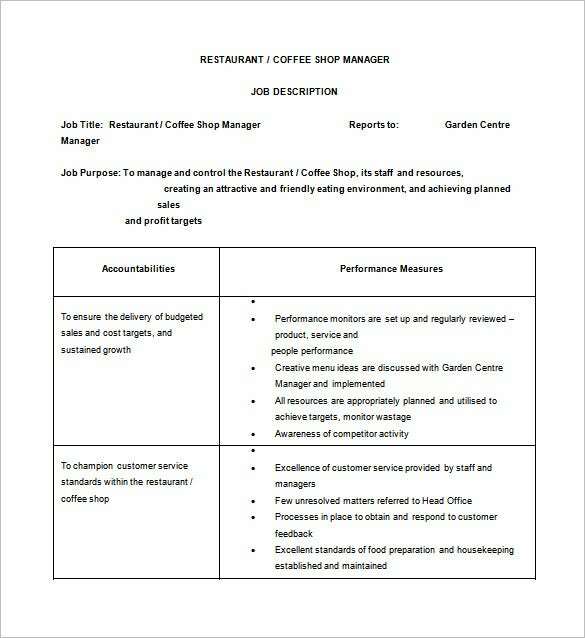 vgtc.org.au An assistant manager at KFC is the second in command and the responsibilities are huge. Managing the staff, taking care of the inventory as well as customer service includes the part of the responsibilities which can all be reported in a meticulous manner with the help of these templates. 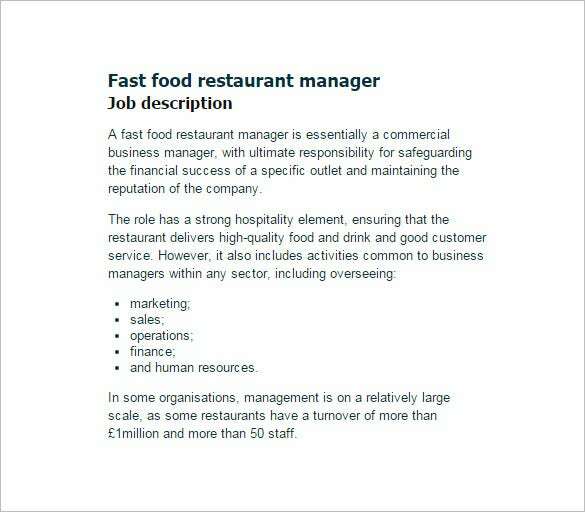 > What are the uses of Restaurant Manager Job Description Templates? 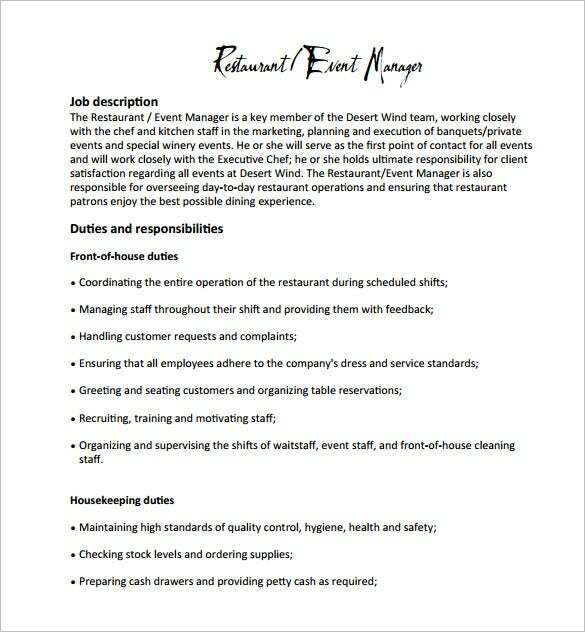 The templates are a perfect way of documenting every detail pertaining to the responsibilities of hotel management. Recruiting hotel staff and assigning them with respective responsibilities gets much easier with the help of these templates. The templates will make the role of a manager clear which in turn will let the applicant understand clearly if he’s suitable for the job. 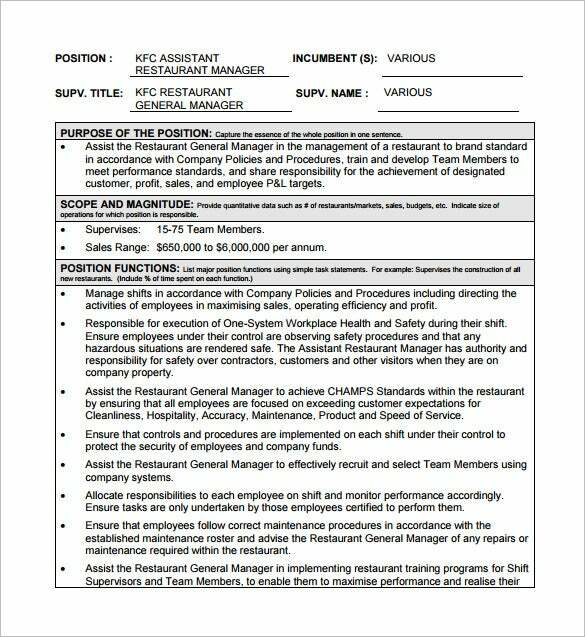 Therefore, a state of transparency can be maintained with the help of the restaurant job description templates. It is the prefect tool for recruiting hotel staff and making sure that the right candidate is chosen for the job. 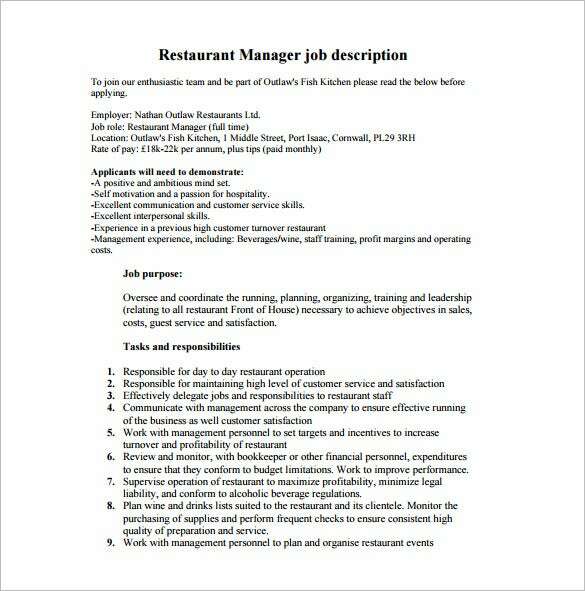 > What are the Benefits of Restaurant Job Description Templates? People who are looking for staff for their restaurant business would need to post advertisements of vacancies mostly on the online job portal these days. 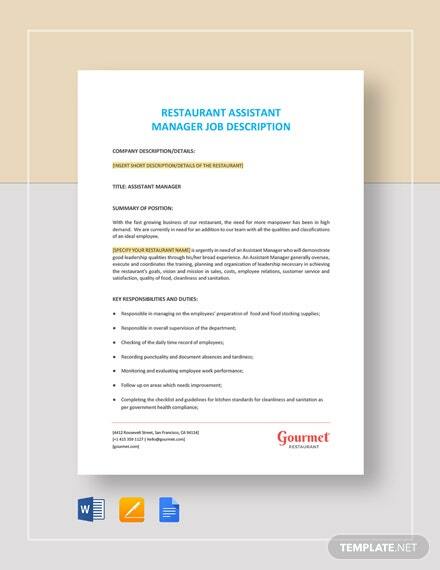 Making a comprehensive list of requirements of from the candidates that can be uploaded with the best results becomes a lot easier if the recruiters have these templates that are designed specifically for requirements of the restaurant businesses. The freely downloadable templates can be filled in with particular requirements and easily uploaded on the job portals which makes it easier to filter the right sort of candidates for the job. 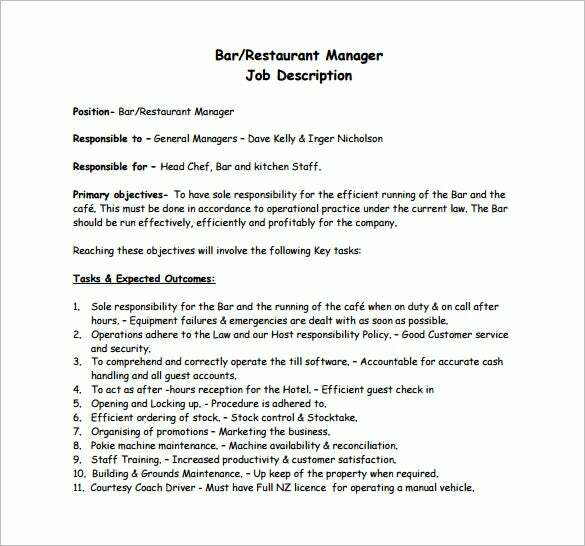 > Who can use the Restaurant Job Description Templates? These templates are specifically designed for the restaurant industries. Therefore, anyone who is associated to the business, be it restaurateurs, hotel managers, or the human resource department of the hotel – anybody would find these templates extremely useful. 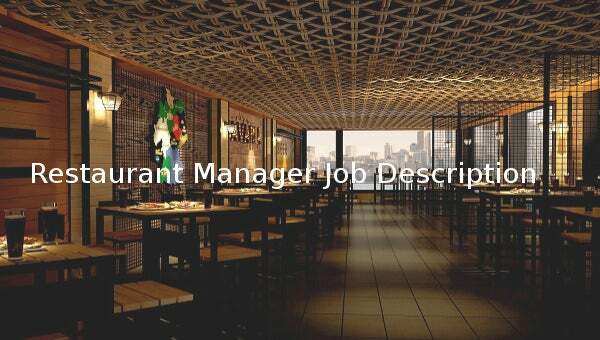 Not only the recruiters but the applicants will also find the templates useful because they allow a person to write an application for a job at the restaurant industry in a very organized manner without leaving any important aspect out. 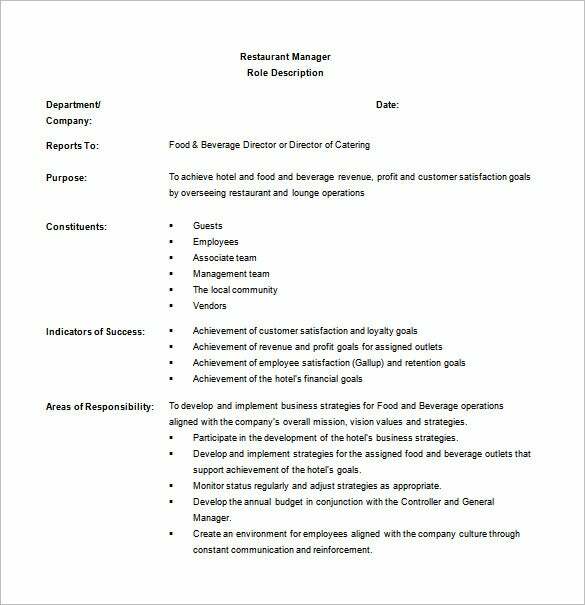 It is safe to say that the restaurant job description templates are beneficial to both restaurant business recruiters and the applicants. A perfect bridge between the recruiters and job seekers, these templates are easy to use, easily available and very helpful. 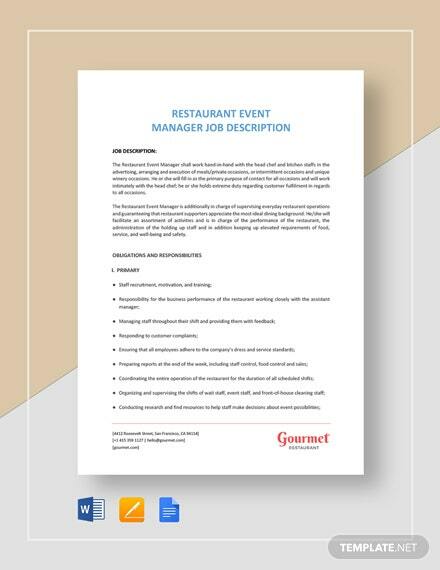 An essential item to the smooth running of the restaurant business, these templates definitely make the job a lot easier.